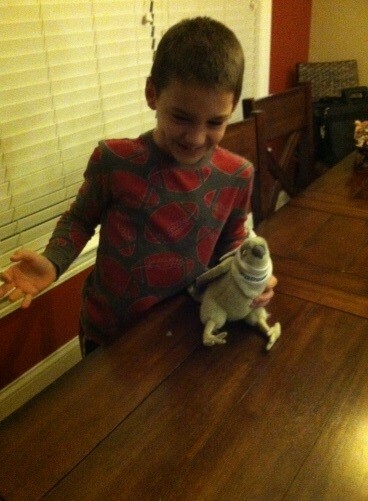 This week we had second grader, Nate, in Mrs. Freeman’s class, take home Frank. They had a blast together. Here’s Nate to tell you all about it! 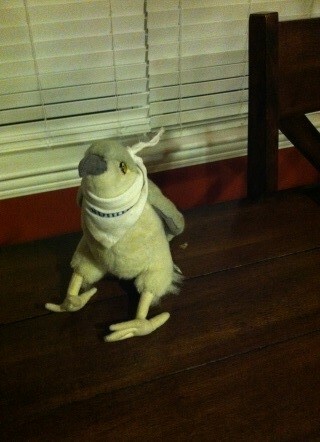 Right after school Frank flew out of my back pack and landed right on the kitchen table. My mom was not very happy. He also left his “mark” on the table. I was very confused and my mom got more mad since Frank left his “mess“ on her kitchen table. 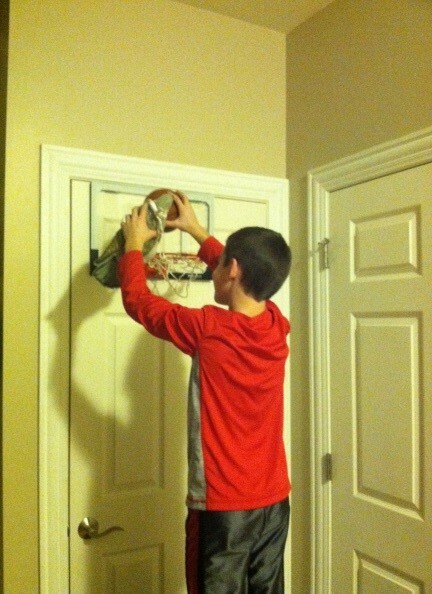 I decided to play basketball with Frank against my brothers. I figured that we would have an advantage since he can fly and all. He can help me dunk the ball and beat my brothers. Frank was pretty good and we did beat them with Frank’s excellent dunking skills. 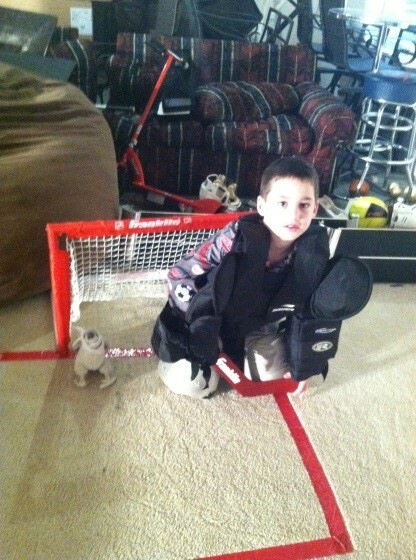 I figured since Frank was so good at basketball I would let him play mini hockey in my basement against my brothers. Frank helped me play goalie and he was outstanding. He blocked everything that was over my head. It was so good to have help from him. He would stay in the goal while I went out to shoot. SCORE !!! We won !! One last adventure before Frank had to leave. 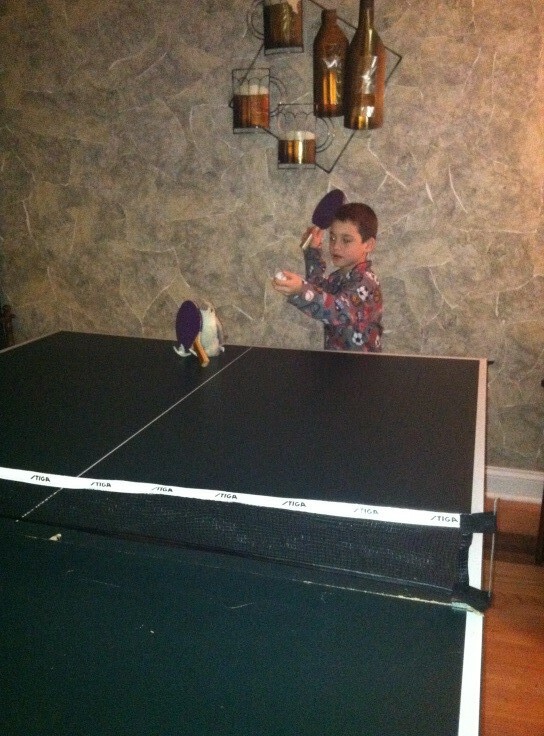 We played ping pong together and he was so good. He flew all over the place hitting the ball back. Of course we won that game too ! !